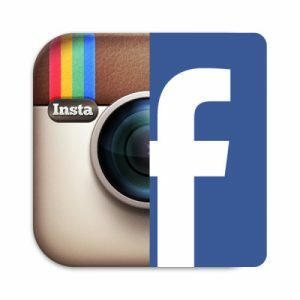 Facebook And Instagram Advertising…..Is It Important? Facebook has 1.65B Monthly Active Users and that is an increase of 15% from March 2015 to March 2016. Facebook has 1.51B Mobile Active Users and that is a 21% increase from March 2015 to March 2016. These are just two reasons that Facebook has to be a part of your marketing plan yet I could flood this page with statistics that would convince you but when you see numbers in the Billions you do not need more. When I am asked about advertising on Facebook and we begin to chat about it I will typically hear that my target market is not using Facebook. Unless you have the most unique target market that has a total population of 1 then your target market is using Facebook. The issue with using Facebook as a business is that it is getting more difficult to reach them unless you are running a paid advertising program. Facebook’s algorithm changes are going to focus more on friends posts which means that your business page posts are going to generate limited exposure. This change does not mean that your business should avoid Facebook. What it means is that you need to rearrange your thinking on leveraging Facebook and start to use sponsored newsfeed ads if you aren’t already doing so. Think about this, Facebook is in the business of making money just like all other businesses and they do that through paid advertising but instead of grumbling about it as marketers we want to take advantage of what they provide us. What do I mean by this? I am talking about data. Data that will allow the advertiser to put their message in front of the person most likely to engage with them. That engagement can mean a click to their business page, their website, a purchase and many other options for how the advertiser wants their targeted market to engage with them. When it comes to advertising on Facebook, and now Instagram, the advertiser can define who sees the message. For example, if the business is a high-end car dealership and they know that men between the ages of 45 and 54 with a HHI of $150,000+ are most likely to purchase then using that information the advertiser can now put their message in front of that exact demographic. The beauty of this is that the data keeps building. Remember that 1.65B number from the first paragraph……well every time the people on Facebook click, like, type, etc it is data into the data bank. With each engagement on Facebook, marketers are able to be smarter with their advertising dollar and that is a win-win for all involved. Advertisers are able to get in front of those most likely to engage thus essentially lifting their ROI. The people being marketed to will be getting advertisements for businesses that offer products and services that are of most interest to them. I have not touched on Instagram but back in April of 2012 Facebook purchased Instagram for $1 Billion and that altered the advertising game on Instagram to where we are today. A few months ago Instagram altered their algorithm to change how images are viewed in the users feed. It no longer became a timeline but rather based on interests, likes, follows, etc. This now means that sponsored ads on Instagram are more important than ever before. The beauty for advertisers is that they now have the same data on Instagram as they do on Facebook to target their advertising to. As mentioned a few paragraphs ago, the advertiser can drill down using data that Facebook has been collecting to engage their target market. The hardest part for advertisers is that they most likely are experts in an industry that is not Facebook / Instagram advertising and this means that they need to work with a company that can generate images and put together the right target market and then manage the ad campaign. While this may sound expensive the reality is that it would be more expensive if the advertiser were to do it on their own because it would take them away from their business. A year ago I wrote a post on LinkedIn about mowing my own lawn and that still stands today when it comes to managing advertising campaigns on Facebook or Instagram. Have questions about how advertising on Facebook and/or Instagram can help your business? Drop me an email at jbahamundi@travelhost.com and let’s chat. I have spent my entire career in the multi-media industry with experience in broadcast/cable TV, Radio, Print and Digital. Developing and executing a marketing strategy is my passion, but not my only passion as evidenced by my Instagram page. I love cooking and fueling my body for endurance sports through a plant-based diet. When I am not working on multi-media marketing, swimming, biking, running and cooking I can be found sharing laughs with my wife and step-son.